2017-2019 Executive Board continued with a vision statement campaign. From bottom row left to right, Jessie Gordon, Judie Gibel, Krista Schoen Top row Left to right; Linda Roberts, Karri Scwartz, Nancy Faul, Chandra Haimbaugh, Pat Lindsey, Nancy Travis, Surgeon General Celeste Phillips and Esther March-Singleton. Increase public acceptance of breastfeeding, increase public awareness of the health risks associated with not breastfeeding, and promote behavioral change that results in increased rates of breastfeeding initiation and duration. Promote public policies that support breastfeeding and encourage active support for breastfeeding among key community leaders. Contribute to a supportive and accepting social environment with respect to breastfeeding. Educate health care providers about health care risks associated with not breastfeeding and how they can better support those mothers who choose to breastfeed their babies. Model policies and practices that promote and support breastfeeding in all sectors of the health care system. Increase services and support to families who are breastfeeding. Advocate for public and private insurance coverage for breastfeeding support services and equipment. Increase public understanding that breastfeeding is the normal course for nourishing children and that efforts to undermine breastfeeding are serious threats to the health of children and women. Advocate, promote and educate for Healthy People 2010/2020 breastfeeding goals. Support the establishment of model policies in work sites and childcare facilities that foster a positive environment for breastfeeding. Increase acceptance and support for breastfeeding in schools and work sites. 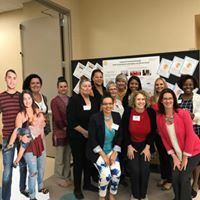 Encourage key agency leaders and others who influence these individuals or groups to take action and develop concrete policies in support of breastfeeding.